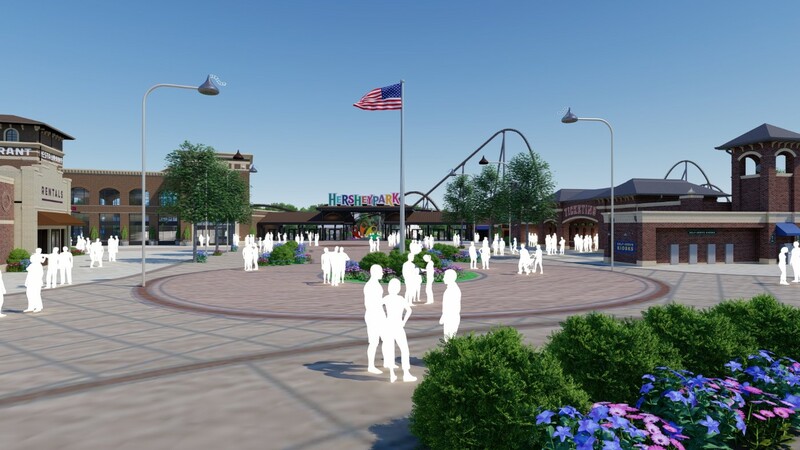 Hersheypark today unveiled plans for Chocolatetown, a $150 million new area of the park that will feature a new roller coaster, park entrance, restaurants, shops and more. The 23-acre addition to the park is scheduled to open in the summer of 2020. 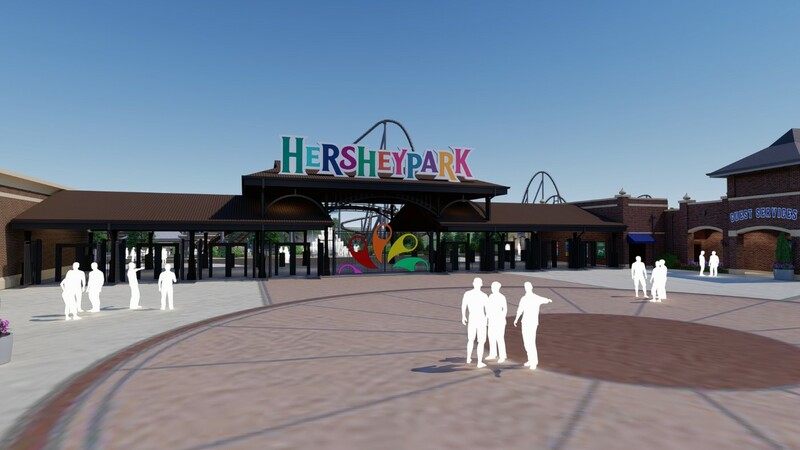 One of the most noticeable changes to Hersheypark in 2020 will be the new front gate entrance. 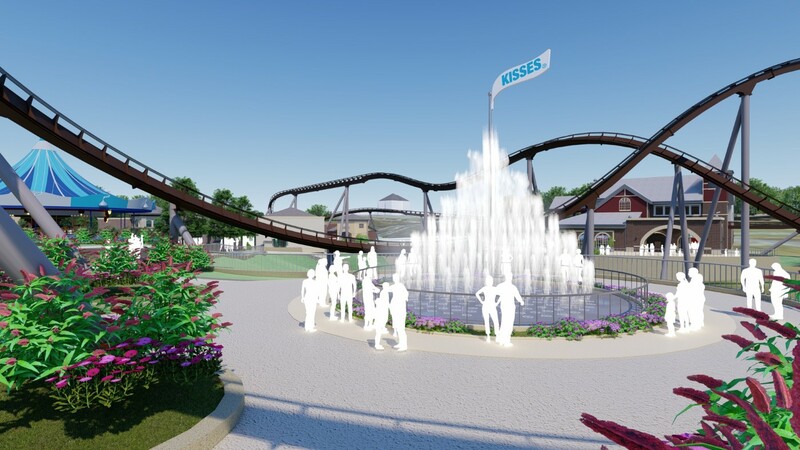 The centerpiece of the entrance plaza will be a Hershey Kisses-inspired fountain. Hershey characters will greet guests as they enter the park. The park’s iconic Carrousel ride, which turns 100 years old next year, will find a new home just inside the park entrance. 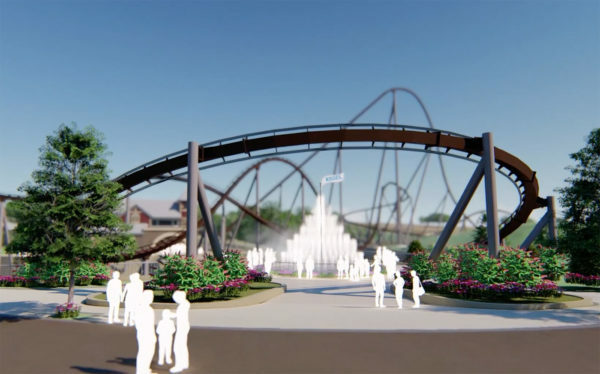 One of the most exciting components of Chocolatetown will be the park’s 15th roller coaster, which appears to be a Bolliger & Mabillard hyper coaster. The currently unnamed coaster will be the Hersheypark’s longest, tallest and fastest. 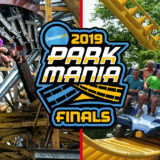 The park’s Skyrush and Storm Runner are tied for the fastest at 75 mph. Skyrush is the tallest at 200 feet and longest at 3,600 feet. 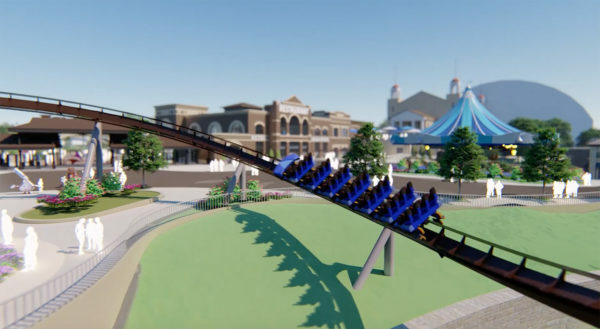 The park will likely announce more details about the coaster in the coming months. In July, we predicted that Hersheypark would be one of three U.S. parks receiving a B&M hyper coaster in 2020 based on preliminary plans the park released in July. 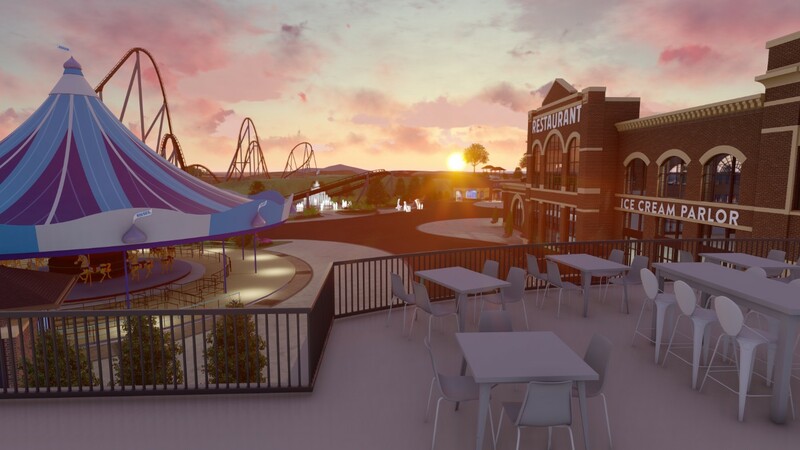 Hershey’s Chocolatetown will offer at least five dining locations, including the largest themed restaurant, bar, and patio in Hershey with one-of-a-kind views of Hersheypark. 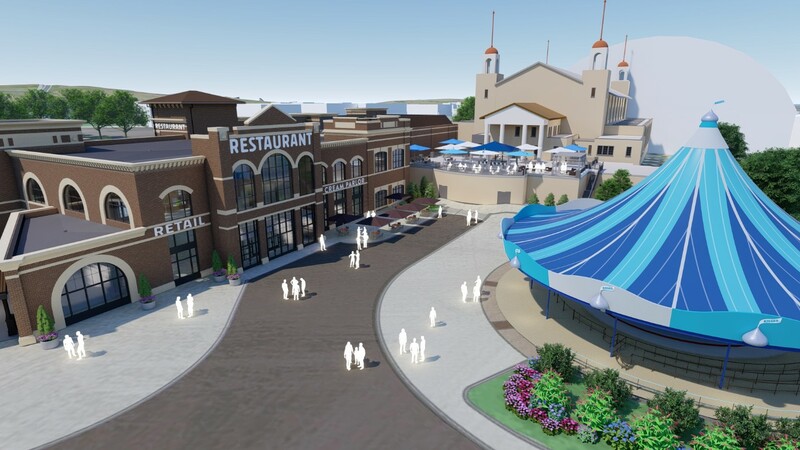 The restaurant, which will remain open year-round, will feature a second-story patio and bar. 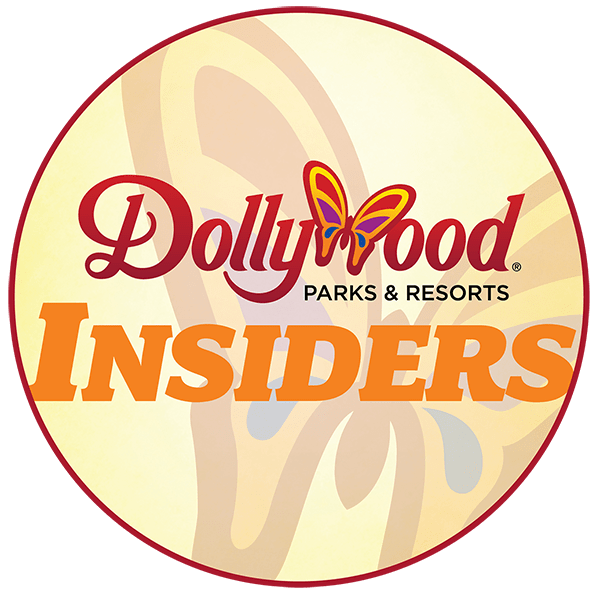 On the menu will be chocolate-inspired items, craft cocktails and desserts. Coffee lovers, rejoice. 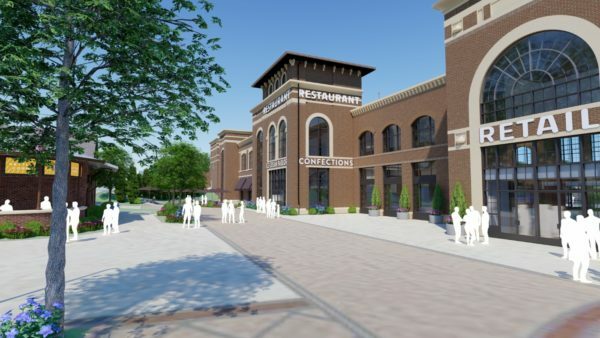 Chocolatetown will also be home to a full-service, 2,200-square-foot Starbucks with indoor and outdoor seating areas will also find a home at Chocolatetown. 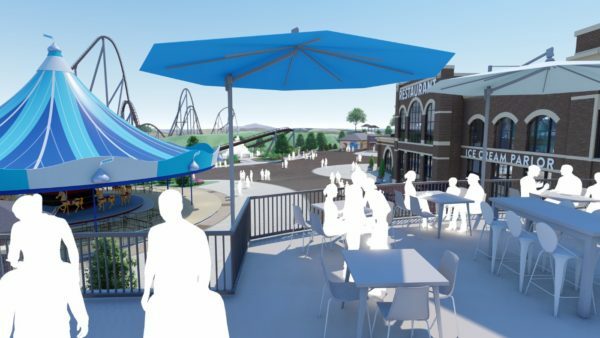 Finally, the area will also feature a new confectionary scratch kitchen and the park’s largest kettle corn location. Chocolatetown will also be home to a new 10,000-square-foot flagship store featuring the largest selection of Hersheypark apparel, personalized souvenirs, and toys. 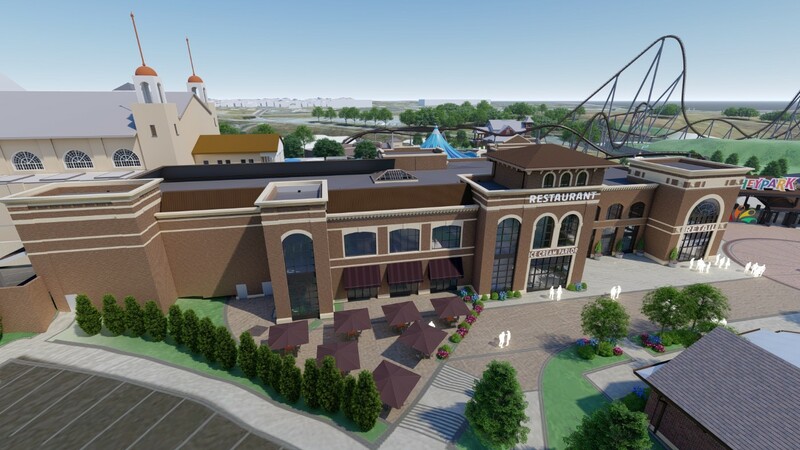 The investment of $150 million into the 23-acre Hershey’s Chocolatetown area is the largest capital investment and expansion in Hershey Entertainment & Resorts’ history. 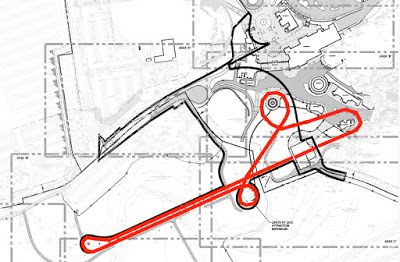 Construction is scheduled to begin in January 2019. The park will remain fully operational during the 2019 season during Chocolatetown construction. The area is inspired by the legacy of Hershey founder Milton S. Hershey. “We are incredibly excited to enter this next chapter in the rich history of Hersheypark. 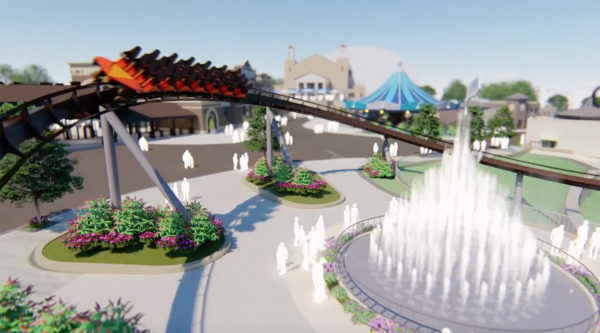 Hershey’s Chocolatetown will mark the true intersection where fun meets chocolate,” said John Lawn, president and CEO of Hershey Entertainment & Resorts. 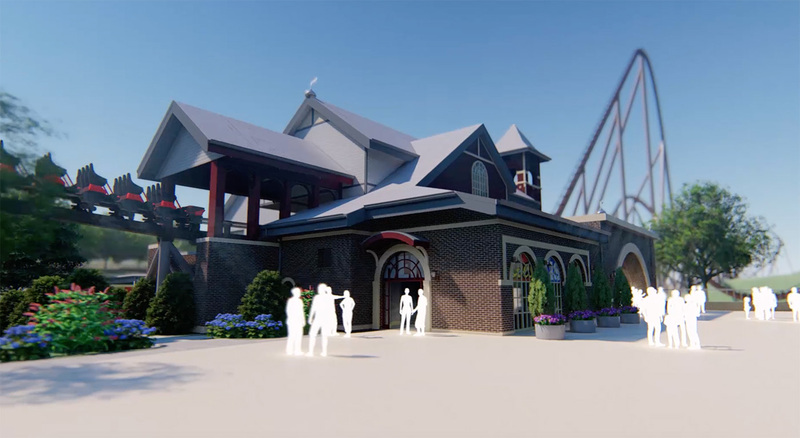 More information about Chocolatetown is available at Hersheypark’s website. 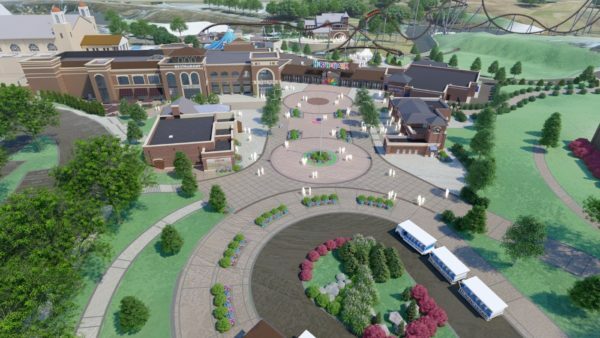 Share your thoughts about Hersheypark’s Chocolatetown announcement in the comments section below.